Three cutting-edge nuclear-powered attack submarines have been manufactured and will soon be commissioned by the Chinese navy, according to media reports. 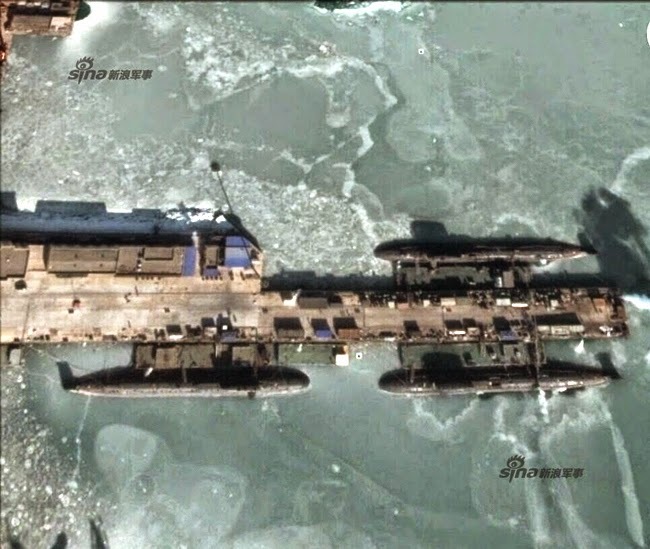 China Central Television showed a satellite picture earlier this week of three submarines anchored at an unidentified port, saying the vessels are China's most advanced Type-093G nuclear-powered attack submarines, just completed by a Chinese shipyard and a waiting delivery. With a teardrop hull, the submarine is longer than its predecessor, the Type-093, and has a vertical launching system, the report said. Another article carried by the People's Liberation Army navy's website said the Type-093G's wing-shaped cross-section is designed to improve speed and mobility as well as reduce noise, and that the vertical launcher is capable of delivering the country's latest YJ-18 supersonic anti-ship missile. China established its nuclear-powered submarine force in the early 1970s but had never shown it to the outside world until 2009, when two nuclear submarines took part in a parade marking the 60th anniversary of the PLA navy's founding. The Type-093G is reported to be an upgraded version of Type-093, China's second-generation nuclear-powered attack submarine, which entered active service several years ago. 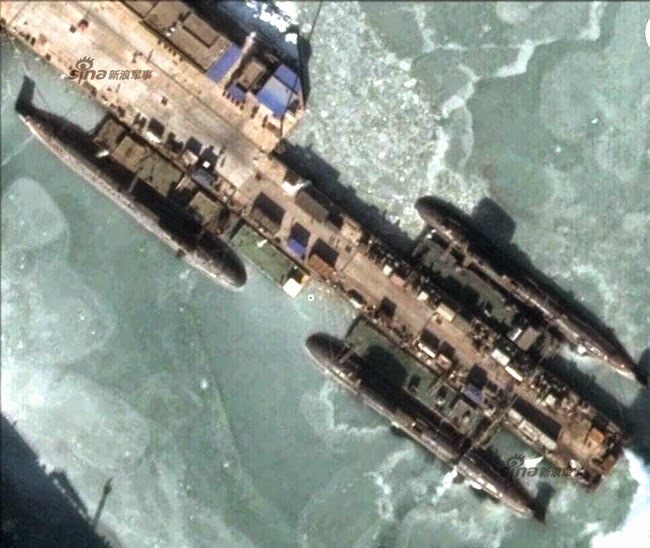 Cui Yiliang, editor-in-chief of Modern Ships magazine, said: "Though China was comparatively late in developing advanced nuclear-powered submarines such as the Type-093G, we used a lot of the most cutting-edge technologies and equipment on our submarines, enabling them to compete with their foreign counterparts." He noted that China has researched the vertical launching system for many years and has installed it on other submarines and surface ships. "Judging from the vessel's design, the Type-093G should have strong anti-ship and counter-submarine capabilities," said Yin Zhuo, a senior expert with the navy. "It is also likely to be upgraded with the capability of striking land targets with cruise missiles in the near future." He added that the navy has formed a reliable logistics system for its nuclear submarine fleet. Liu Jiangping, a naval equipment expert in Beijing who had served in the PLA navy for decades, said the vessel's vertical launching system enables the submarine to launch long-distance strikes from underwater, increasing the vessel's survivability in war. The strategic force of the PLA navy now has about four nuclear-powered Type-094 ballistic missile submarines, up to six Type-093 nuclear-powered attack submarines and about three old Type-091 nuclear-powered attack submarines, CCTV quoted foreign media reports as saying.